In a series of meeting with the administration, we have come up with plans of the short, medium, and long term variety. 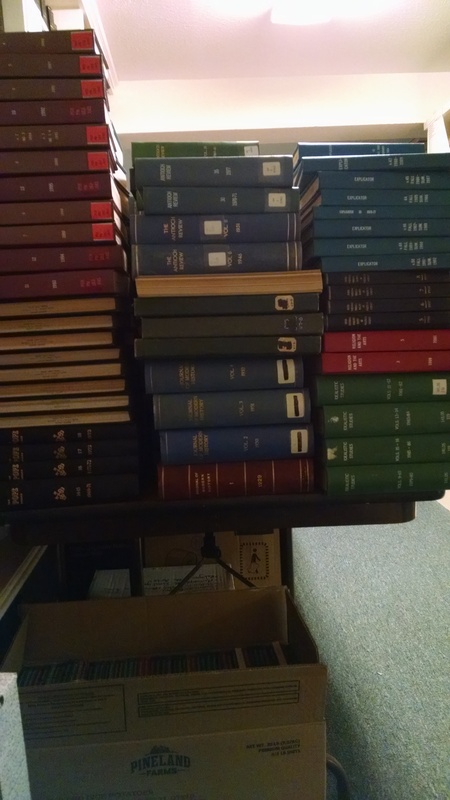 Certain projects, like the shelf read and cataloging project, cross the boundaries between short and medium term. As with any large scale project, there is a need to “break things up” so as to avoid burnout and boredom. Our goal is a fully functional library, not debilitating ennui after all. The way things are shaping up, there will be one of these larger, short term projects every semester. These projects will have the advantage of being visible, showing a result quickly, and providing the type of positive improvement that will drive interest in the continuing library project. 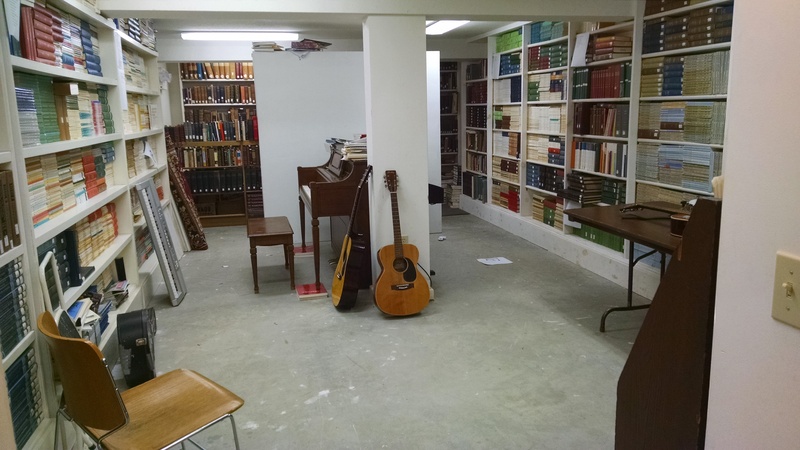 This semester’s project is to develop a music room in the library. Fortunately, there is such a room already picked out and in use for this purpose. There is still a large amount of work to be done, however. The room is located in the basement of the library, next to the art studio. Previously, it is what I affectionately referred to as the “giant pile of books room”– there were books ceiling to floor in a variety of shelves, spanning nearly every category that LC offers in its schema. 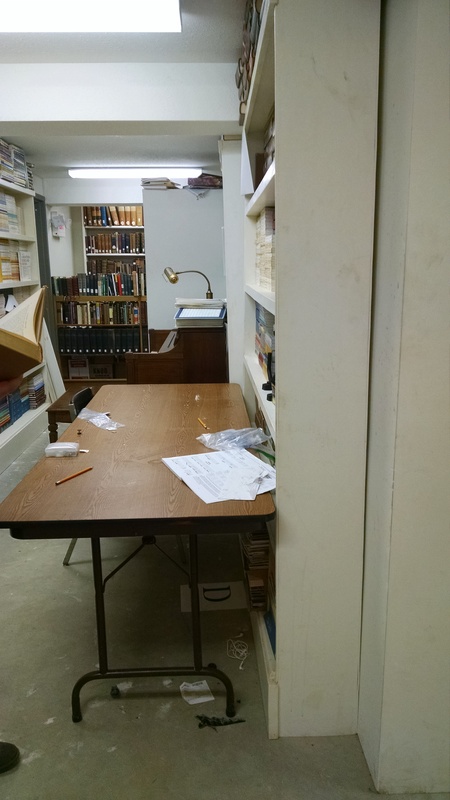 Prior to my tenure, work had been done to clean the room up somewhat; periodicals were group in alphabetical order, books were moved to a single part of the room, and the rare books and institutional archives emerged in the back of the room. 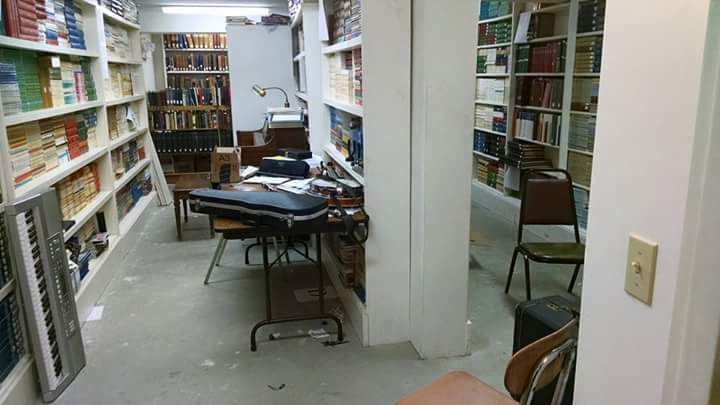 Still, students are cramming themselves and their instruments into a space that is wide enough for a person to walk through, but not much wider. The room has the feeling of a left over closet, where people are tucked out of the way. Music is an important part of campus life; there is a near constant presence of music and singing that I have not seen since I wandered through Venice years ago. That being the case, the musicians need a better space, and we can provide it for them. Clear the periodicals from the space. 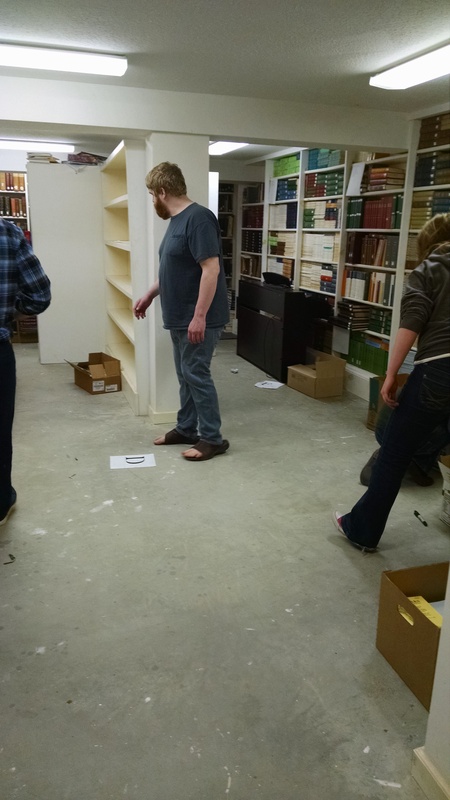 The rare book collection needs a better location for its own sake, but it will also free up a decent amount of shelf and floor space. We can do better than a handful of folding chairs. Once the space is clear, we intend to. The school’s art and music collection is currently on the same floor of the library as the music room, but on the opposite side of the building. 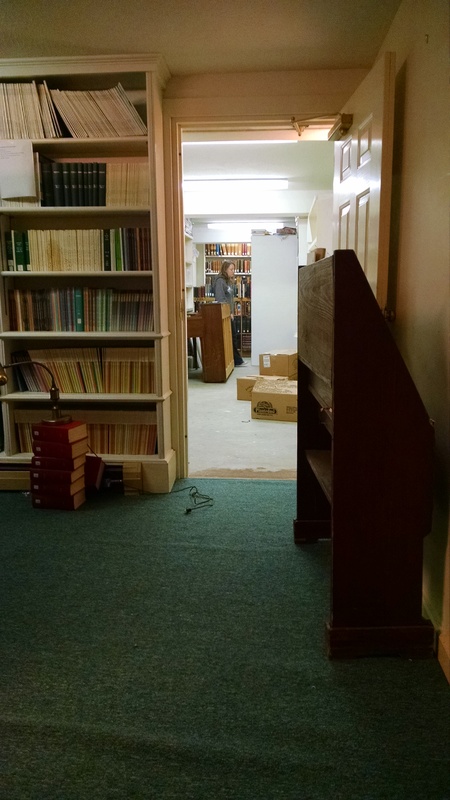 Because the music room will be adjacent to the art studio, it only makes sense to move the physical collection of both art and music books to the place where they will be most useful. Never fear, these books will remain a part of the circulating collection. Next Saturday, I’ll start on the beginning of boxing things up and relocating, with the major push coming on the 24th with a little help from some of the students. After that, we’ll be able to furnish the room and lay it out, hopefully before the end of the semester.